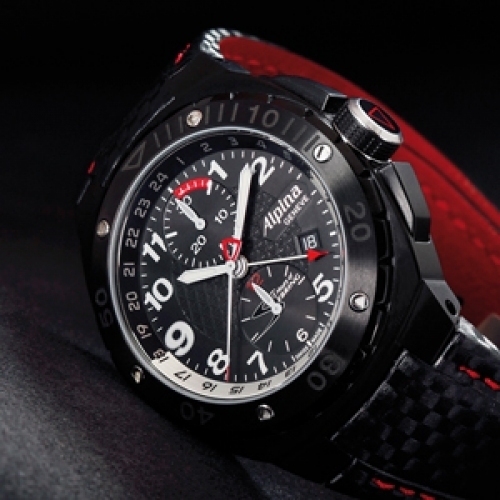 Alpina is the official timekeeper of the “12 hours of Sebring”, the race that opens the American Le Mans Series, and is celebrating the 58th edition of this legendary event with a limited series of 158 pieces. 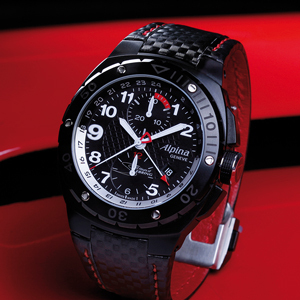 This chronograph has been built to meet the tough requirements of the celebrated Florida circuit, regarded as one of the main meets on the international agenda. 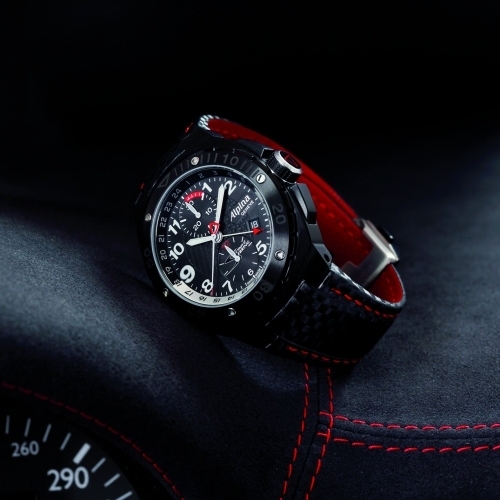 The 12 Hours of Sebring watch offers drivers everything they need: precision, legibility, shock-resistance and reliability. And let’s not forget the opportunity to follow the 12 hours of Sebring on the chronograph’s 12-hour counter, or the GMT which enables the spectators, who have come from afar, to remain on their starting-blocks in two time zones! Limited and numbered edition sold in a special Sebring box.